UYGUNLAR FOREIGN trading co., Ltd., construction machinery spare parts import, production and distribution was established in 1989 to provide their services. Coal mine enterprises for many years before as a parent account, many run within the job machine was an important experience in this sector with and evaluate this experience business machines sector. Uygunlar agency focusing on business scope in China’s largest and most comprehensive 2006 construction machinery manufacturer of LIUGONG MACHINERY has expanded even further with his deal with. Liugong business machines under this agreement Turkey and Azerbaijan to Turkey distributorship of neighbouring Georgia, and sales to countries like Iraq authority .LIUGONG MACHINERY is one of the world’s oldest and established brand guns also brought new investments within the body. The world’s most loader produces 22,000 units in this area with its 2007 ranking of Liugong 1 sat number. Loader (rubber tired)-as well as excavator, dozer, paypleyır dozer, bulldozer, soil and asphalt roller, mini excavator, mini loader and general road and construction machines such as a backhoe loader. However the industrial field diesel and electric forklifts and mobile crane vehicles over 35,000 units per year with a production of reach is one of the largest manufacturers in the world. A total of 24 separate for every product in the factory by creating a separate production line and also highly professional and within the framework of the ISO standard. Within the framework of the global breakthrough 2009 commissioned a new assembly plant in India in this market more efficient and put is playing a role. Turkey, investment plans in liugong construction feasibility studies about it. In addition to all this, the world’s largest manufacturer of components since 2005 with the German manufacturing partner zf. That technology giant with the provided joint production with all machinery is supported by a strong high-tech zf equipment. In this way, both the robustness of the need to provide top quality work efficiently while with lower fuel consumption makes more work with machines. Still, the world’s largest engine manufacturers CUMMİNS YANMAR, PERKİNS and hydraulic pump manufacturers KAWASAKİ in collaboration with made with all machines equipped with the most suitable according to their size. LIUGONG, since replacement parts and management in Europe in 2010 as the base operates in Amsterdam. Also in Poland in the year 2011, Foundation, established in 1940 by buying production network, a European Union Dressta in. Finally in the İstanbul-based LiuGong Machinery Inventory Course Turkey market development 2012 establishing support and Turkey Republics of Eastern Europe, the Middle East, and North Africa to the neighbor countries request a portion the Turkey machine on behalf of the make over has carried a further level of existing activities. Given the sheer size of this “rank among groups services completely in-house and infrastructure required for this great organization and created with strong capital and experience. Headquarters located in kavacik istanbul available are general administrative, sales and after sales services provides this funding with the management of the Centre. About 50 employees and services provided support with a midrange machine compact and the integrity of the presentation. Foreign Trade Department as well as the purchase, installation and import processing machines reeksport and inventory tracking complete with expert team on issues such as development. Sales Department in the administration of the Sales Director, especially in İSTANBUL, ANTALYA, ANKARA, İZMİR, TRABZON, ADANA and Diyarbakir, Turkey the 7 administrative region conducts sales activities in all over. After-sales service again, as experienced in sales and decades of experience in all of Turkey Located in our main building of Istanbul Stock especially consumables, electrical and electronic components and machinery belonging to preserved the main hardware and spare parts for the engine. Other in İstanbul stock a range of chassis parts, such as hiking, palette and all machines are the attachments belonging to “rank among the most important pillars of service after sales services organization of seven regions across the country a total of 15 pieces of TSE certificate holder within the contracted services. Istanbul Center is well-equipped with a 24-hour mobile service serving at tool offers intervention and maintenance. out of area emergency services are suitable for mobile vehicles to provide on-the-spot intervention and spare parts supply. Turkey serves as a base the Liuong Construction Co. 1 engineer and sales support personnel also support global sense by assigning to Turkey. Each Department staff BUSINESS MACHINES “RANK AMONG” certain periods, with the aim to improve the quality of technical information and services experts and managers pass the necessary training through. Sourced from a manufacturer for the purpose of transferring innovations and technological developments again the manufacturer’s technical staff at regular intervals located in China or in Turkey production and management centers, annual meetings, trainings and seminars . Meeting with a broad audience of their products and “rank among different regions have different purposes in order to inform companies domestically and abroad, in marketing and promotional activities. Liugong all older exhibition organized throughout the world. The latest innovation of Liugong products and was introduced at the beginning of the global organization GERMANY BAUMA, BAUMA China, NATUREL STONE, LAS VEGAS, PARİS İNTERMAT and ITALY located SAMOTER Fairs. However, they are held every two years within the appropriate İSTANBUL ANKOMAK, ANKARA KOMATEK and the annual İZMİR MARBLE, participating in fairs such as KAYSERİ INDUSTRY have shown that many machine and the opportunity to introduce our products more closely . However, the sectoral meetings, seminars, and organizing local meetings aimed to reach many consumers from all walks of life. Demonstrated in activities at home and “rank among more than 100 service starting squad and approaching 200 technical staff with the gerşekleştrerek Turkey’s biggest construction equipment distributor being one of proud.  Turkey’s construction machinery manufacturers and Distributors Association as a member of the Organization in this area TC İMDER better service and protection of consumer rights in all public matters of happening efforts. with the experience acquired in the past over 20 years each of national wealth and development to support the sales and after sales services of construction machinery. Give good customer service as it is today and in the future in order to make the appropriate better economic conditions regardless of their development by continuing to invest in and support the development of the country will continue.